Safe Pro Pest Control prioritizes customer satisfaction with 300+ 5-star Google reviews. Nestled in the heart of Frisco, Texas, one of the top-rated pest control services for Dallas, Collin and Denton counties resides – Safe Pro Pest Control! Safe Pro Pest Control is a family owned and operated extermination company with the best trained, licensed, and experienced technicians exterminating and protecting your family and property from termites, rats, insects, mosquitoes, and other rodents and pests. Specializing in both residential and commercial properties of all shapes and sizes, Safe Pro Pest Control offers sniper-precise solutions that destroy, exterminate and defend your property from just about every pest you may encounter living in North Texas. Safe Pro Pest Control is owned and operated by Alex Cantaboni, a certified applicator. Customers enjoy the friendly touch of this family owned business and the expert service provided by well-trained and licensed technicians. In an industry filled with anti-social, unfriendly and ill-trained exterminators, Safe Pro Pest Control provides peerless Plano, Dallas and Frisco area service to our valued customers. Residents in the Dallas Texas metroplex choose Safe Pro more because our friendly and expertly trained and licensed technicians go the extra mile. While most other companies do quick, partial inspections, our team does complete inspections that usually last an hour – so we get the complete story of your pest problem. While some companies use subcontractors to do their extermination jobs – which means you don’t know who’s in your home – we ONLY use our own well-trained, in-house team who are all licensed, insured, bonded and given worker’s’ compensation. This gives you total peace of mind in the extermination experience. 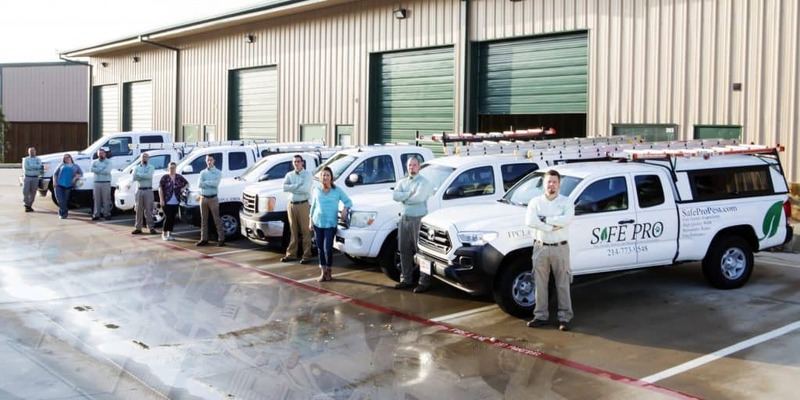 Our team provides white-glove service, wearing foot covers when in your home, inspecting 9 of 10 roofs when inspecting for Texas rats, other rodents and pests (exception is due to occasional security concerns), and communicating well at every stage of the process. 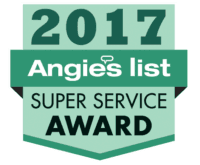 We’re deeply honored and humbled by residents throughout Plano, Dallas and Frisco Texas whose votes made Safe Pro Pest Control among the top 1% of all contractors who earned Super Service Awards in the whole DFW metroplex. 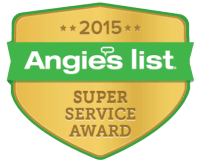 Less than 5% of companies on Angie’s List has earned SUPER SERVICE AWARDS multiple times. Safe Pro Pest Control won 8 years in a row – including 2010, 2011, 2012, 2013, 2014, 2015, 2016 and 2017. 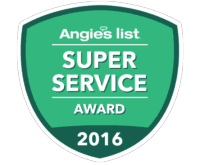 Not to mention we were voted top 3 contractors in DFW for 2 years in a row on Angie’s List and have 300+ 5-star reviews on Google. With our 100% Service Warranty, call us for details of our Lifetime Warranty, you have nothing to lose and everything to gain by choosing Safe Pro Pest Control today. We service areas including: Plano, Frisco, McKinney, Allen, Prosper, Celina, Fairview, Little Elm, Lucas, Oak Point, Paloma Creek and Savannah, Texas. Experience the Safe Pro difference with our FREE, zero-obligation Pest Control Quote right now.